When I got a hold of my diploma, I knew that being a journalist, broadcaster or novelist is not my calling. I have this “gift” when it comes to writing but I don’t have that extra edge to serve the nation through press. I was actually thinking of doing event hosting and event management full time (READ: My Life, My Job, My Career and 6 Success Tips that Helped Me) since it is still related to my Mass Communication field only that BS Journalism is my major. 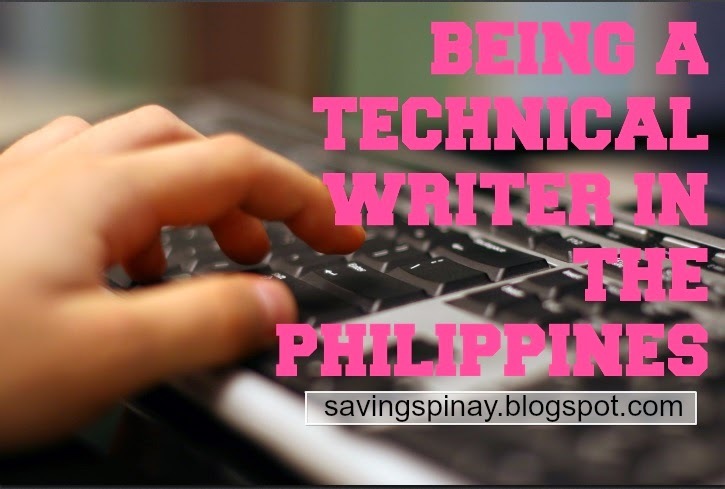 Fortunately, God led me to a career that I will always be thankful for, Being a Technical Writer in the Philippines. Technical Writing is not that common field when it comes to writing jobs. It is a job that will require you to write technical documentation used in variety of technical and other occupational fields such as computer hardware and software, others in engineering, finance, chemistry, aeronautics and even medicine. As a Technical Writer your role is to assist users in giving information on using products, completing tasks, operating equipment and others. When you work in this job you will be tasked to work collaboratively with different key persons in the company. In order to complete a particular task you have to talk with programmers, graphic designers, project manager, sales personnel, client and more. After a year of working as technical writer I made a list of things that you’ll most probably end up doing once you become a technical writer. Graphics like Network Diagram, System Structure and so on. As a Technical Writer of more than a year the best and the safest skill that you need to have is effective communication skills. You need to be a good listener, a proven speaker and an excellent writer. Your ability to listen when products, projects or systems are discussed every meeting is highly valuable. You need to voice out what’s on your mind too. If there is a need to rediscuss or to explain you have to be able to do so. The training materials you will write must be explained to someone afterwards and sometimes (well, in my experience) you will asked to be the trainer too! Above average writing skills is of course important. As a technical writer, your duty is to explain and to inform. Your writing must simple, uncomplicated and can easily be understood by others even the non-technical end users. If you can’t explain simple processes via written outputs then do not even attempt applying for the Technical Writer position. The job will demand time and effort in researching. There are terms and concepts that must be explained in the most effective way possible and researching will be the only possible solution. You need to have basic or advanced computer skills from hardware, software and tools like word processing, web designer etc. Once you set yourself to be a Technical Writer you need to be very adoptive when it comes to managing priorities. There are documents that needs to get done within an hour. There are times when you focus on one project then another project will come your way. The hardest part is when you are alone for you have to sometimes spend longer working hours just to meet the deadline. As a “communicator” you are bound to take charge and manage within co-workers. You have to be goal-driven and to really maintain a productive state of mind all the time. Defines how well you design, plan, organize and implement projects and tasks within an allotted timeline. As a Technical Writer I consider my role more of an “interpreter”. I interpret the ideas of the programmers, engineers, project managers and marketing teams in the office by translating their complex and highly technical concepts into a simple written document. The language you know should be both technical and marketing. Everyday must be spent improving your current know how and skills. Once a system changes or moved into its phase two you also need to revise the document continually. You also have to be good when it comes to naming files, storing them into folders and retrieving them when needed. There are moments when you end up not doing/finishing anything during the 10-hour shift just because you are not in the mood or writer’s block is eating your creative juices. You also have to be very careful in how you project yourself with your co-workers. Not because you can write does it mean that you are the best in the four corners of the room. Remember you won‘t have a job without the system/apps/technology that the great programmers and system engineers have built. I actually feel like I appreciated technology and my geek side because of the job that I have today. I will always have “wow” moments for there’s much about the “behind the scenes” that as a non-technical end user like me, don’t know about. It helps being surrounded by technical people who are willing to teach you and to share their knowledge with you. If you find yourself enjoying writing but still in doubt on what future you want to have then you can try working as a Technical Writer. You can easily find a job online and even via referrals. There are also classes and workshops that you can attend so that you’ll be ready when the real job calls you. If you got the experience as a Technical Writer you can easily move to another company for a higher position or better pay because it is one of the rarest designation in the work force today. And also it sounds “astig” when you say that you are a Technical Writer.